Welcome to the Day Center! 88% of participants improve or maintain their health status and level of independence. 75% of participants maintain their present residence or are able to move to a more independent setting. 86% of primary caregivers report a decrease in stress after enrolling a loved one. The Day Center is a preferred platform for chronic disease management. There is a heightened focus on prevention and health maintenance and we offer physical activity programs to address cardiovascular disease, Parkinson's disease, diabetes and prevention of falls. The Day Center is a leader in community-based care for individuals with Alzheimer's disease and other dementias. The center provides an interactive, safe and secure environment. Activities incorporate cognitive stimulation, memory training and educational programs. 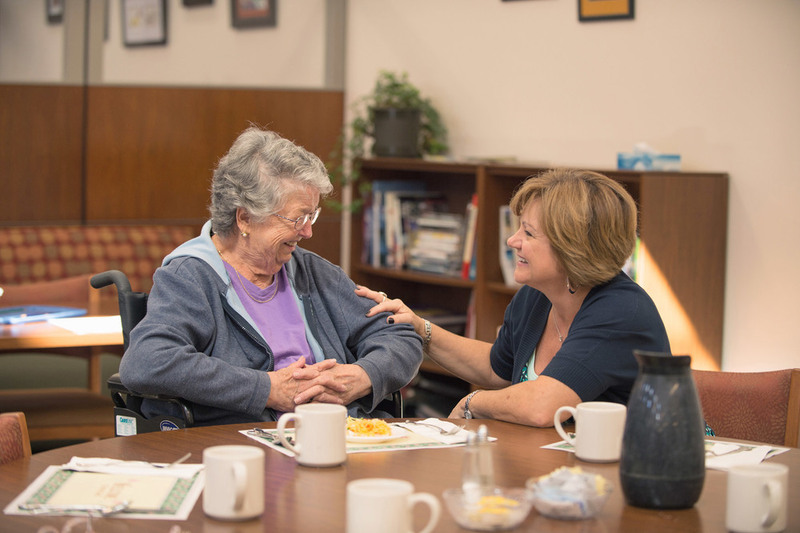 The Day Center is an essential source of support for family caregivers. The center provides and restores balance in times of crisis and enhances overall quality of life for caregivers.